Josh Navidi. Pic: Getty Images. 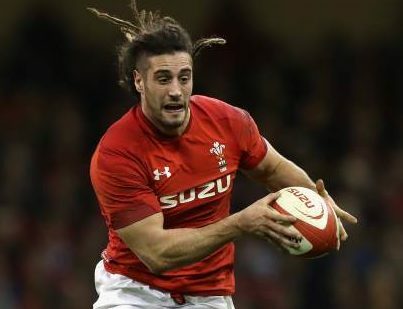 Josh Navidi has told his Wales teammates to put on their hard hats and prepare for a war of words before they face England next weekend. The Wales flanker believes it is vital Warren Gatland’s team need to concentrate on themselves and ignore the babble from outside. England coach Eddie Jones has already started to fire some bullets from over the border – designed, most likely, to mess with Welsh minds rather than inflict any serious flesh wounds. After victory over France, Jones described their next opponents as probably the best Wales team of all time – a description likely to raise an eyebrow with anyone capable of historical perspective that extends as far back as the 1970s. For Cardiff Blues back row forward Navidi, it is all about simply keeping the momentum going as they head towards a clash in Cardiff which could well decide this year’s Guinness Six Nations title. Warren Gatland. Pic: Simon King/Replay Images.